The Woman in Gold is a movie that’s showing in cinemas right now. It tells the true story of an elderly American Jewish lady who takes the Austrian government to court to reclaim a family painting that was stolen by the Nazis during the 1938 Anschluss, when the vast majority of Austrians welcomed Adolf Hitler’s annexation of his home country. The movie stars Helen Mirren as the elderly lady and Ryan Reynolds as her lawyer. In one scene, Reynolds is sending a package to the Austrian government from somewhere in Los Angeles. The man behind the desk commented on how he had always wanted to go to Austria. His daughter, he added, loves kangaroos! He’s not the only person who is ignorant of Australia. Americans, in particular, have difficulty telling the difference between an Australian and a British accent. I’ve often had people ask me which part of Australia I come from. Unlike many of my compatriots, this does not upset me – I consider it a great honor to be taken as an Aussie. If I were 24, instead of 64, I would move there. Australia has an American lifestyle without the frenetic pace that makes life in the US so stressful. It’s exactly a hundred years since the great battle that was a defining moment for the new countries. Australia became a Dominion of the British Empire in 1901; New Zealand in 1905. Dominion status meant they were independent but still a part of the Empire, which was transforming into a Commonwealth, united in a common loyalty to the Crown, fulfilling the biblical prophecy of “a multitude of nations” (Genesis 48:19), descended from the patriarch Joseph’s son, Ephraim. When the British went to war in August 1914, these two dominions, together with the other dominions and colonies of the Empire, went to war as well. The Australians quickly took over German territories in the Pacific. But it’s the Battle of Gallipoli, which is remembered most and commemorated on this day, the day the conflict started. It was to last over eight months. Gallipoli is a peninsula in North West Turkey. It’s sometimes called the Dardenelles. At the time, Turkey was called the Ottoman Empire. In November, 1914, it made the fatal mistake of allying itself with the two central European empires, Germany and Austria-Hungary, against Great Britain and its allies. Less than ten years later, the Ottoman Empire collapsed and was replaced by the Turkish Republic. The founder of the republic was Kemal Ataturk, who was one of the military commanders on the Ottoman side at Gallipoli. The battle was a military disaster for the Allies. Australians, New Zealanders, the British and French all fought there and lost a great number of men, many on the first day when soldiers were landed on a thin strip of beach, looking up cliffs at Ottoman positions, cannon fodder for the enemy. They fought valiantly. Ataturk afterwards talked of their bravery. Turkey’s president is hosting a commemoration today, a gathering of world leaders including Prince Charles and Prince Harry. Harry is currently serving with the Australian military. Commonwealth ties remain, even though they have been weakened in recent decades. The prime ministers of Australia and New Zealand laid wreaths. The President of Ireland was also present, a reminder that Ireland was then a part of the United Kingdom and lost many of its native sons in this battle. 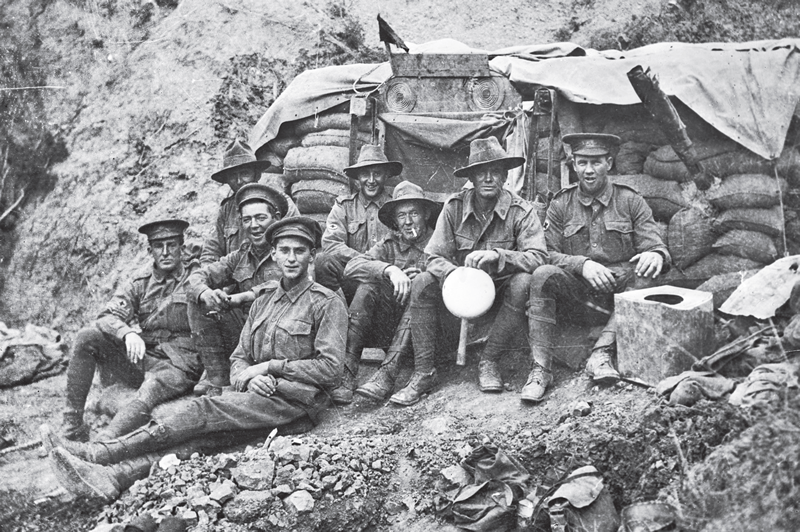 74,000 Anzac troops fought at Gallipoli. 10,000 died. To understand the full impact of that loss, let’s remember these were troops from two new countries, that were thinly populated. At the time, the United States had just over 100 million people, the UK 40 million. Australia’s population in 1915 was under five million. New Zealand’s was a little over one million. To compare the losses to the US, we need to multiply the figures by twenty. The 10,000 dead was the equivalent of 200,000 American losses, or 80,000 British servicemen. The British lost 25,000 at Gallipoli, out of a total of 350,000 men. The French also suffered heavy losses, 10,000 out of 79,000 men. On the other side, the Turks lost 86,000 out of 400,000 combatants. The figures are staggering, far greater than losses suffered in recent conflicts. And the sobering reality is that the war was so unnecessary. Some wars were unavoidable – World War Two, for instance, when the Western powers had to defeat the evil of fascism. Ironically, if World War One had not been fought, there would have been no World War Two. If the Ottoman Empire had not been defeated, its constituent territories would not have been carved up, ultimately creating the modern Middle East. The ripple effect of that first global conflict of the twentieth century continues to this day. The wars we are fighting now all originated in World War One. Australia, it should be noted, is the only country to have fought in all these conflicts from beginning to end. Gallipoli was just the start (in fact, Australians had been fighting in the Empire’s wars even before independence). Australia was always ready to fight alongside the British to preserve freedom in a dangerous world. After World War Two, when America became the pre-eminent power, Australians fought alongside Americans in all America’s wars. The land down under is an under-appreciated country. It’s time to publicly pay homage to a great nation that has done so much for the western world. Let’s remember and give thanks for their many sacrifices on this ANZAC day.